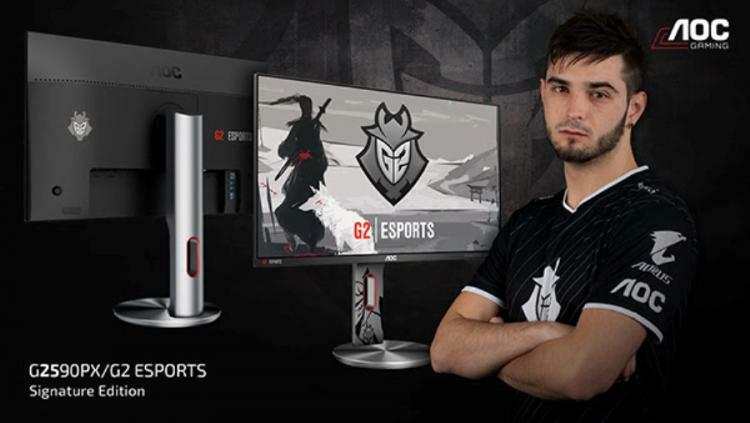 AOC collaborates with G2 Esports to present the G2 Esports Signature Edition of the AOC G2590PX Gaming Monitor – the AOC G2590PX/G2. The AOC G2590PX/G2 is a 24.5-inch gaming monitor packed with high-performance features including 144Hz native refresh rate, 1ms response time and FreeSync Technology. Based on the acclaimed G90 Series of AOC Gaming monitors, the AOC G2590PX/G2 features a frameless TN panel with 16:9 Full HD at 1920x1080 resolution. The AOC G2590PX/G2 AOC combines performance, style, and affordability into one package while continuing to ensure a smooth, tear and stutter-free gameplay experience. 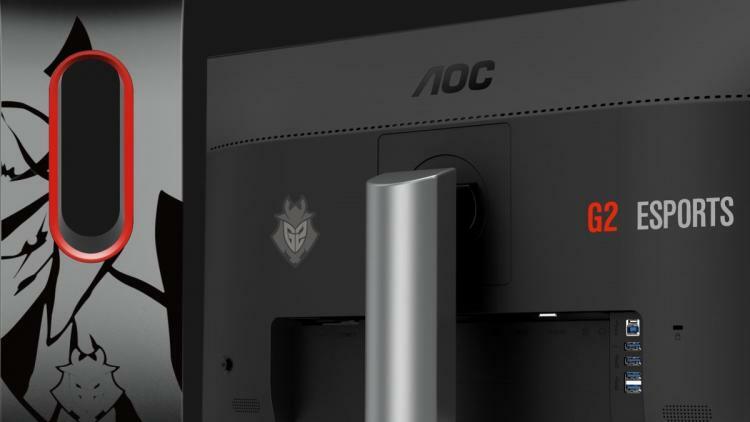 The AOC G2590PX/G2 sports the Spirit of the Samurai design with its metallic stand, silver finish, and G2 Esports Art on the front and back of the gaming monitor. Supporting AMD FreeSync Technology, the G2590PX/G2 delivers smooth gameplays without screen tearing and lag. The monitor also features Shadow Control that brightens dark areas in scenes to assist in spotting enemies. The AOC G2590PX/G2 also features an ergonomic stand that allows the user to tilt, swivel and height adjust to achieve the perfect position for gaming comfort and convenience. The AOC G2590PX/G2 Gaming Monitor is now available with an MSRP of £329.00. Learn more about the AOC G2590PX/G2 here.